August 2016’s Book of the Month is Sixes Wild: Echoes, by Tempe O’Kun. 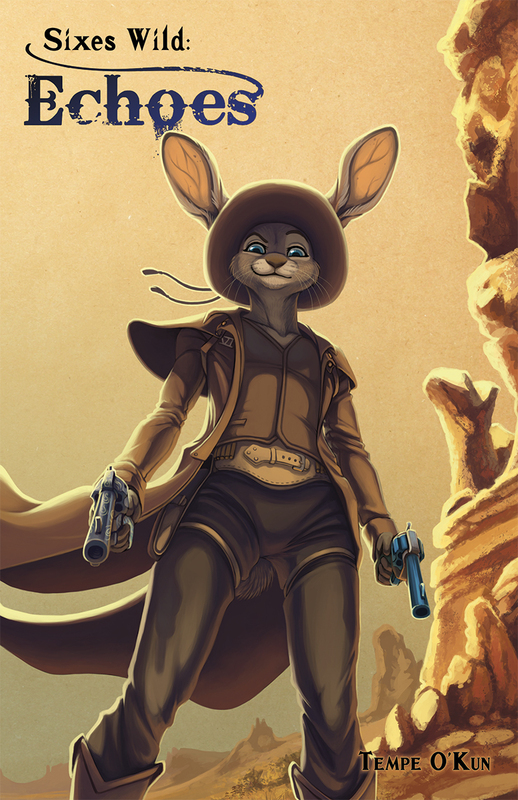 Life’s not all whiskey and revelry for this bunny gunslinger. In a recent tangle, Six had cause to dynamite a lion crime lord in his silver mine. The kitty had the nerve to survive and vanish with one of the guns tied to her dead father’s spirit. A sensible hare would go to ground, lying low while she tracked down the varmint. And that’s just what she’d do, had she not stumbled into love with the local fruit bat sheriff. Love’s all well and good, but courting a gentleman when you’re no proper lady is a challenge Six never thought she would have to tackle. This entry was posted in Uncategorized and tagged book of the month, furplanet. Bookmark the permalink.